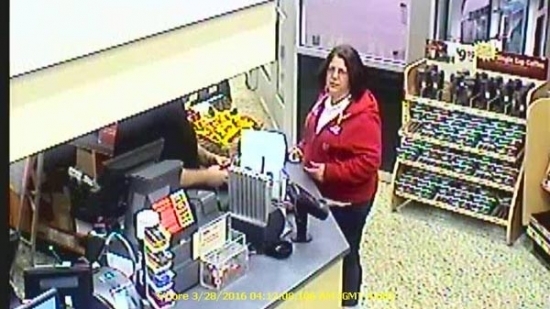 The West Goshen Police Department is searching for a woman accused of stealing thousands of dollars worth of coffee from Wawa stores and returning it to other store locations for cash. The thefts have occurred all over southeastern Pennsylvania, as well as Delaware, New Jersey, and Maryland. Police say there have been 40-50 incidents totaling over $3000. The woman can be seen on surveillance video stealing bags of coffee from one store and then returning the bags to another nearby store. It has been going on since early this year. The suspect has been seen driving two different vehicles, a small silver sedan and a maroon SUV. If you have any information, contact the West Goshen Township Police Department at 610-696-7400. The family of a 2-year-old boy who was killed by an alligator at Walt Disney World announced that they will not file a lawsuit against the theme park. Matt and Melissa Graves of Omaha, NE, say they are heartbroken after the loss of their son Lane and want to focus on their family. They have set up the Lane Thomas Foundation in their son's memory. Lane was pulled into the water near Disney's Grand Floridian Resort & Spa on the evening of June 14th by an alligator. He was playing on the edges of Bay Lake. His father, Matt, attempted to wrestle him away from the animal but could not. Lane's body was found the next day. Modern rock band Third Eye Blind played a show at the Rock and Roll Hall of Fame in Cleveland, OH, on Tuesday night in support of Musicians on Call, a charity that brings musicians into hospitals to play bedside for the sick. Of course, this week is also the Republican National Convention in Cleveland and many of the attendees at the show are in town for the RNC. Lead singer Stephan Jenkins took the opportunity to rile the crowd and express his displeasure/disdain with the Republican platform. At one point he asked, “Who here believes in science?” He also spoke out about LGBT rights before the band launched into one of their hits “Jumper” which is about a gay friend of Jenkin's who jumped off a bridge. They also played a rarity 2009's “Non-Dairy Creamer” that criticizes the Iraq war and is about two gay Republicans. The crowd responded with boos and shouts the whole night.